The Ireland all-rounder is believed to have told his club Eglinton that he won’t be playing for the village outfit this summer. It is believed that Civil Service North are his likeliest destination, with the Stormont side keen to acquire Thompson’s services despite his lack of availability because of Ireland commitments. If Thompson does move to Stormont, he will be linking up in the club game with Ireland team-mate Gary Wilson, who has returned to live in Northern Ireland after a long career in county cricket. Thompsion’s departure would be more bad news for North West club cricket. Craig Young, the Ireland international bowler, has joined North Down after quitting North West champions Bready. It is understood that several Leinster clubs are keen to sign Andy McBrine, the Ireland off-spinner, but the Donemana man is reluctant to leave his home village. 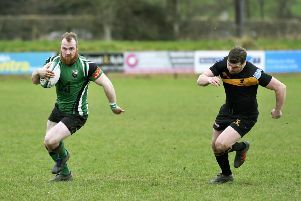 If Thompson’s move to CSNI is confirmed the 27-year-old would likely remain with the North West Warriors in this year’s interprovincial competitions. As a contracted Ireland player, CSNI would not likely see that much of Thompson, but his signing would still be a major signal of intent by James Kennedy’s team. Meanwhile, the official name of the recently-announced European T20 competition, that will be played across Ireland, Scotland and the Netherlands, will be known as the ‘Euro T20 Slam’. The competition will take place from August 30 to September 22. Similar in style to other well-known T20 leagues around the world, the T20 league will feature city-based franchise teams. 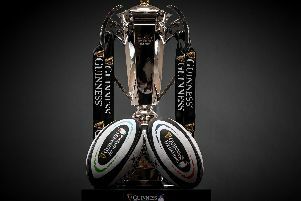 There will be six teams, including two from Ireland, one based in Belfast and the other in Dublin. The Euro T20 Slam name was unveiled after an agreement between event managers, Woods Entertainment and GS Holding, and the cricket boards, Cricket Ireland, Cricket Scotland and KNCB in the Netherlands.